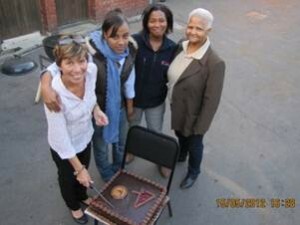 For our 40th Birthday celebrations we’re having a number of staff get-togethers.These photos are from the Cape Town braai held at our Maitland premises. We honoured a few of the long serving employees with a small gift and everyone was handed a new Packit shirt commemorating the 40 years in business. Call us now for this and other excellent specials or to discuss how our huge range of packaging materials & machines, backed up by exceptional service, can add value to your business.